Today I bring you another Festive Nails post, to check out my last one click here. 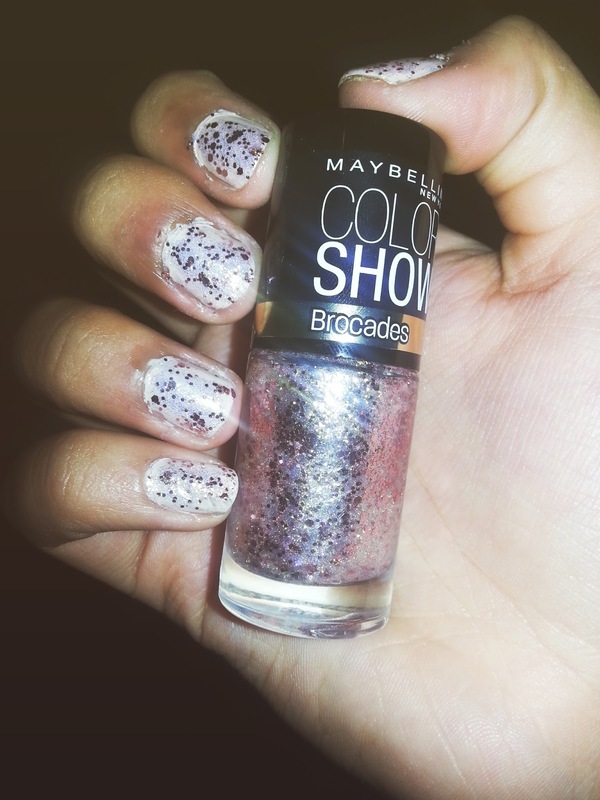 This weeks is a another glittery combo from BarryM and Maybelline! I love the Gelly nail polishes if you can't tell and this combo is one that I am loving lots!! As a base coat I applied two coats of Lychee this is such a great colour and works any time of the year and on top I used one coat on the new Brocades Polish from Maybelline in Knitted Gold - how stunning does this look. I am in love! Thanks to Estee (EssieButton) for this amazing idea!! It looked amazing and I just had to try the two together and I cannot believe my eyes for one minute! !